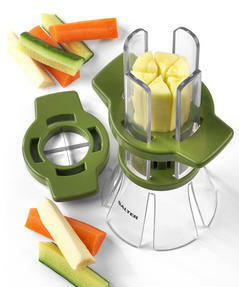 Enjoy easy food preparation with this two piece Salter set featuring a fruit and vegetable baton slicer and a meal storage preparation pot. 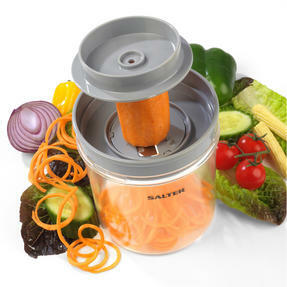 Make carrot, celery and cucumber batons as a healthy snack using the baton slicer, while the storage pot has three food compartments in small, medium and large which neatly fit inside one another. The built-in spiralizer means you can add vegetables to your meal with minimal effort and the sauce pot provides a convenient place to store your salad dressing. 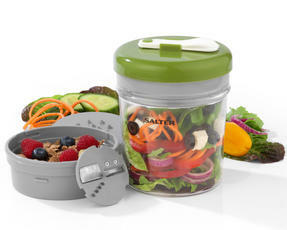 Save time and enjoy healthier meals with ease using the Salter fruit and vegetable baton stick slicer and meal storage preparation pot. 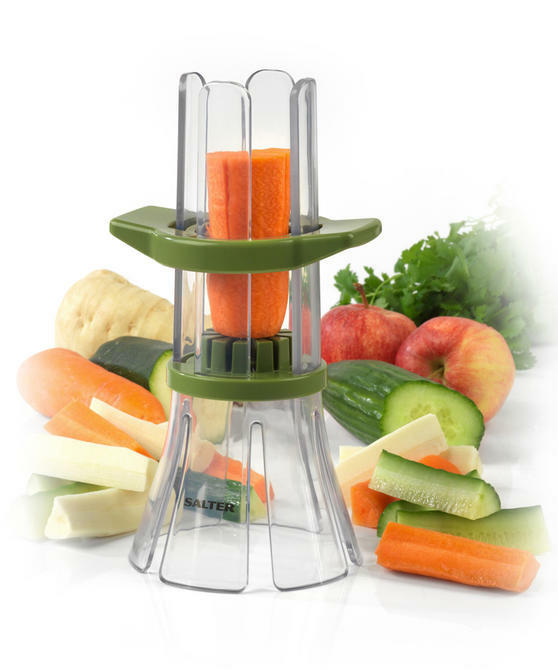 Simply place your chosen fruit or vegetable inside the baton slicer chute and push down the stainless steel blade to create your snack. 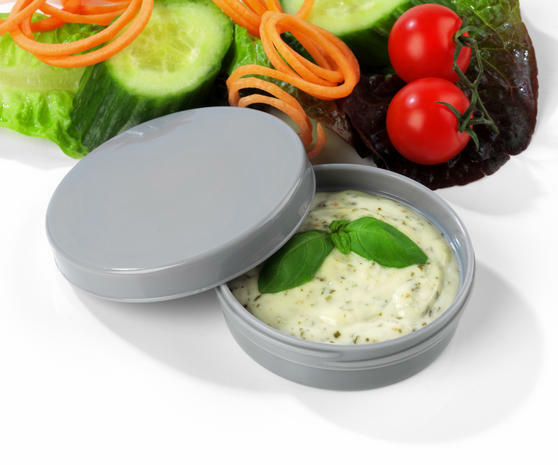 Perfect for snacking with hummus, tzatziki and other dips; the two interchangeable blades allow you to make four or six slices at once. 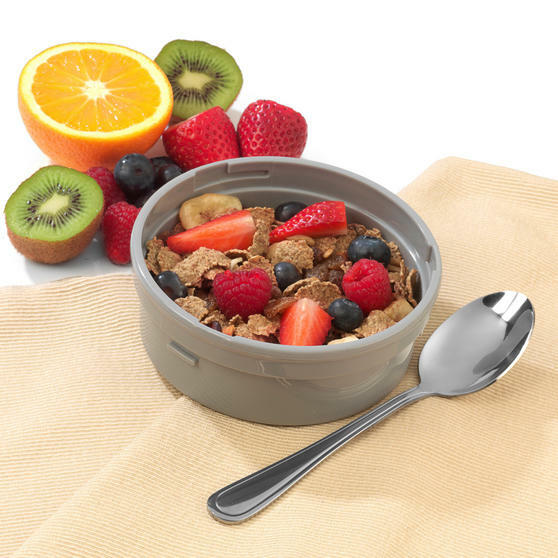 The lunch pot has a small pot for dressings and a medium pot you can store fruit or cereal inside, stored inside a large container. 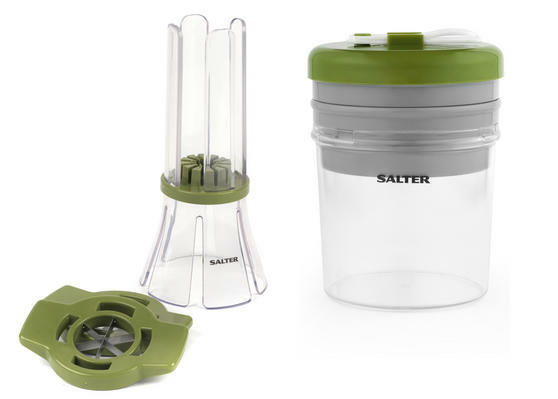 It includes an integrated spiralizer and foldaway fork so you can make healthy, tasty and satisfying meals to take to work.